105 Lukie Points will be rewarded to you when you buy this. 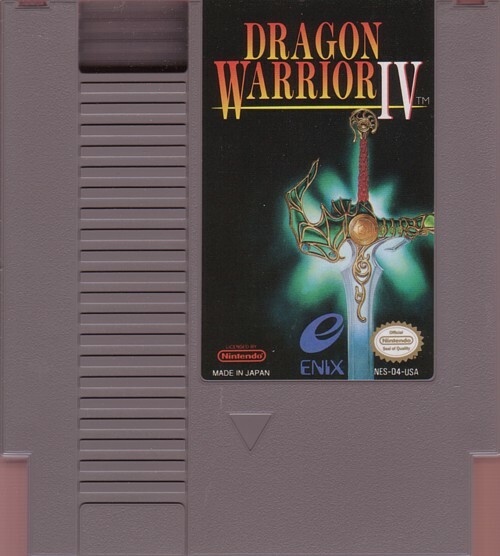 Dragon Warrior 4 original NES Nintendo Game cartridge only - Cleaned Tested and Guaranteed to Work! While this game is a little bit rare don’t let the price chase you away. As far as RPG’s go, on the NES this might just be the apex of the genre. The first in the Zenithia trilogy which is only called that because the castle in the sky appears in all three games. The stories do not intersect so don’t feel like your missing something by playing only the one. 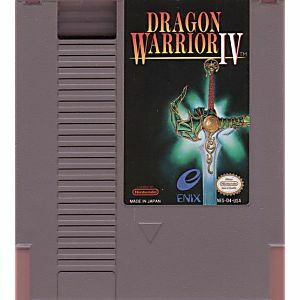 If you are a fan of RPG’s you owe it to yourself to grab this gem and truly see how far the NES could actually be pushed in terms of actual content on 1 cart. One of the best NES rpgs and the first in a trilogy. 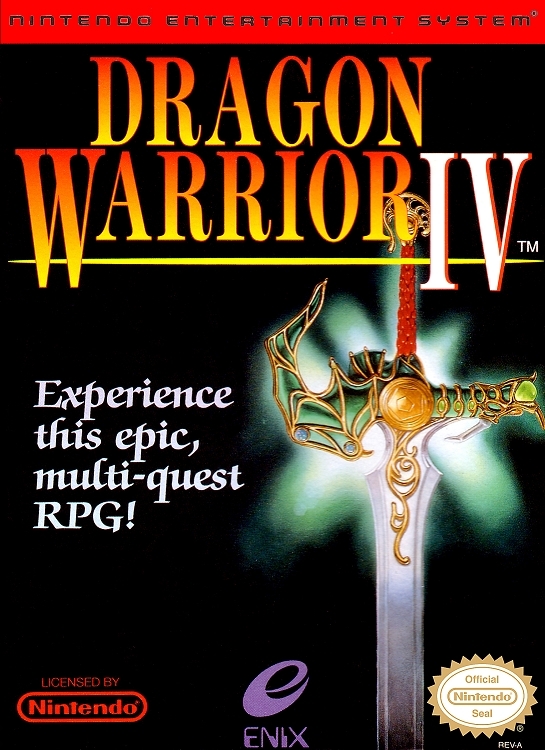 Unfortunately Dragon Warrior V and VI were never released in NA but still well worth playing. This is by far the best game ever made for the NES. If you don't know this is a role playing game. It is simmilar to Final Fantasy for the NES but far superior in every way. I bought this game new in the early '90s for $80. In 2010 I still play it and it's propably worth at least $500 to me. Also try Dragon Quest IV for DS. A far superior clone of this game. Now that one is truly priceless.